No one likes to have their lipstick wear off after just applying it. Having to retouch your lipstick every few hours or so can also be irritating especially if you have spent the better half of your morning applying your makeup. Choosing the right products, applying them correctly and taking good care of your lips are all part and parcel for getting your lips noticed. So here are a few tips and tricks for you to use to get your lips the attention they deserve. Just like any other cosmetic, lipsticks also have a variety to choose from. Making the right choice for you is as essential as knowing the limitations of your choice. Here are the most common types of lipsticks available and their characteristics. These lipsticks claim to last through the day no matter whether you’re eating, drinking or doing anything else. While this is not completely true, they do tend to last longer when two coats of lipstick are applied along with a moisturizing base. Buying a long lasting lipstick at the beginning of your shopping spree should be the first thing you do. While these lipsticks may be more expensive than your usual choices, they are definitely worth investing in. Matte lipsticks are the most preferred lipsticks since they last longer than shimmer/ glossy lipsticks even though they do tend to make your lips dry. But choosing a shade of matte lipstick closer to your skin tone is known to reduce the drying process. Matte is a great option for daytime wear since it does not give a shiny look. These lipsticks tend to be moisturizing in nature. They are great for daily wear as they keep your lips nice and hydrated. These lipsticks may appear darker in a bottle or tube due to their high oil content. So while choosing, make sure to test them on your skin to see if it’s the exact shade you want. These lipsticks contain a lot of moisturizing ingredients like aloe, Vitamin E and glycerine. While these lipsticks do wear off easily, applying a base coat of lip balm, foundation or lip primer has been known to prolong the lip color. 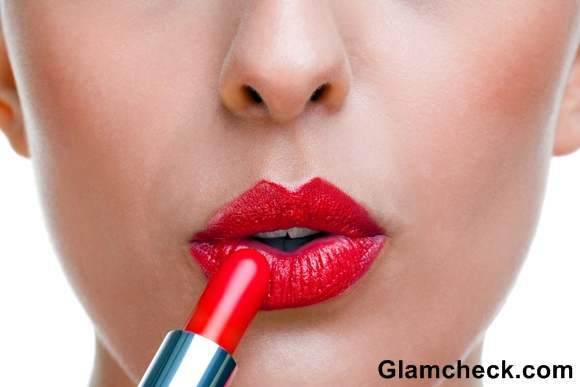 These lipsticks give your lips a very desirable, glossy look. These lipsticks have a higher wax content due to which you don’t need to apply a lip gloss over them. Cream lipsticks are great for women with smaller lips. The only cons are that they fade quickly and cause your lips to dry. Because these lipsticks reflect a lot of light, they make your lips sparkle and glisten. But they are also known to dry and crack your lip which is why it is important to apply a moisturizing base beneath. These lipsticks are not as moist as cream lipsticks, but do last longer. Lip glosses are an all-time favourite of most women. Using a lip gloss not only enhances lips of any shape and size, the also make your lips appear plumper and shinier. They also act as a great lip enhancer when applied over lipstick. 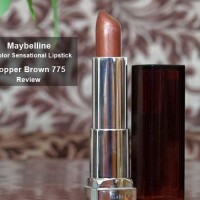 They come in a range of shades to match every lipstick color out there and are easy to use. While buying a lip liner, you could buy a liner to match the exact shade of your lipstick, or you could buy one a few shades darker than your lipstick. If you have a very dark lipstick, you can instead choose one that’s a shade lighter. 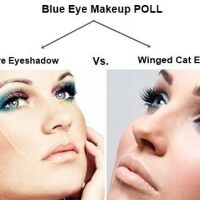 Also check if your liner has a waxy finish. This will help block the lipstick so that it doesn’t leave the boundaries of your lips. Also remember that darker or brighter shades of lipstick are known to last longer than lighter ones because they have higher pigment content. Applying your lipstick correctly is the first step to getting gorgeous lips. The trick for getting your lipstick to last longer lies in the kind of layering that you do. The correct application will not only make your lipstick last longer, it will also make sure your lips are protected over a period of time using a variety of products as a base. So here are a few application tips for you. Apply some lip balm, and then use a tissue to gently blot your lips. Now use a lip liner to line and fill in your lips. This acts as a base for the lipstick you will apply next. After you have applied your lipstick, blot your lips and apply a second coat of lipstick. To finish up, add some lip gloss. This entire procedure is sure to make your lipstick last because of all the layering and blotting. You could also use lip primer to make your lips smoother or use liquid foundation as a base coat for your lips before you apply lipstick. They will fill in any tiny gaps on your lips since your lipstick seeps into small creases that help the lipstick bleed. This is another way to seal your lipstick, making it last through the day. Long lasting lipsticks are prone to fade after a while even though a bit of color may still remain on your lips. While this color might not look as fresh as when you first applied it, applying a double coat of long lasting lipstick will make it stay on your lips even longer. While using a lip liner, dab a bit of foundation over your lips first. Now using the side of your lip liner rather than the tip to outline your lips. Using the side of your liner makes it easier to blend with your lipstick. Now apply your lipstick. To avoid your lipstick from getting on your teeth, place an index finger in the middle of your mouth and make a pout. This will remove any extra lipstick from the inner sides of your lips. Besides applying your lipstick, you should also keep in mind a few tips to prevent your lipstick from bleeding afterwards. While I have mentioned a few tips above to blot, layer and set your lipstick, here are some more to help your lipstick last you through the day. While blotting your lips, apply some loose powder over the tissue you’re using while it is placed over your lips because the tissue acts like a filter and gives you an even powder layer. This helps set the lipstick without changing the color or texture of your lipstick. Every article I have every read in my life about how to use lipsticks and make them last longer, mentions pencil liners. Lip liners are drier than lipsticks and don’t smudge as easily. That’s why they are used to line lips to prevent lipstick from running out of the lip boundaries. Applying a thin layer of lipstick with a brush is known to stay on longer than if applied from a tube. The simple reason behind it is that thinner layers last longer. Using a thin layer of baby powder over your lipstick helps lock your lipstick in place. Applying a second coat of lipstick over the baby powder is also known to make the lipstick look more vibrant. A bit of powder foundation can be used in place of the baby powder. Just make sure to use as little powder as possible to avoid a ‘cakey’ look. For bright colors, mix some Jell-O with water and apply it to your lips with the aid of a Q-tip. This helps your lipstick or gloss adhere to your lips much more easily. This trick works really well for colors like red lipstick. After applying your lipstick, place some sugar over your lips for a few minutes and then remove it. This technique helps your lipstick from fading fast. Store your lipstick in the fridge when not in use. This increases the longevity of your lipstick and will reduce the amount of smudging when applied. Some common sense tips would include avoiding licking or chewing your lips. Also check your lipstick after meals to make sure that your lipstick hasn’t come off. The condition of your lips also plays a vital role in deciding how long your lipstick will last. The better the condition, the longer your lipstick will stay. Applying a base coat will prevent your lipstick from staining your natural lip color and also help moisturize your lips. As mentioned before, you could lip balms, foundations or lip primers as a base. Maintain a daily routine to hydrate or exfoliate your lips is a good idea to remove excess oils and dead skin. Keep your lips hydrated throughout the day. Drink plenty of water, even if you have to use a straw to avoid smudging your lipstick. Fruit juices are a great way to rejuvenate your skin. For lips that aren’t too smooth, apply generous amounts of lip balm and then gently scrub your lips using a circular motion with a soft tooth brush. Then wipe your lips with a towel soaked in warm water to remove any dead skin and apply another coat of lip balm. Apply petroleum jelly or a lip balm before going to bed every night. Lipsticks have always held a special place in my heart. And knowing how to use them better has only made me love them more. After reading this article, I hope you feel more enlightened, less frustrated, and better equipped to make your lipsticks last longer.